Earlier this year Netflix debuted “Lilyhammer,” the video service’s first original show. But “Lilyhammer” was more of an asterisk, and Netflix doesn’t really consider that one its first real attempt at original programming. 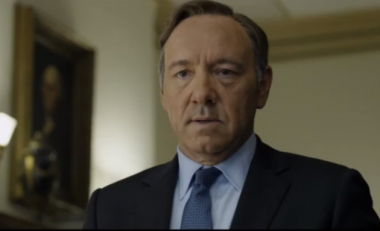 That will be “House of Cards,” a Washington, D.C.-based drama from director David Fincher, starring Kevin Spacey. Not much to go on here, though the preview does seem a little flatter than the kind that HBO traditionally puts out for its stuff. And Netflix is very clearly trying to compete with Time Warner’s pay channel with this series (industry executives say both HBO and Showtime got a chance to buy the series before Netflix did). Then again, lots of HBO series with great previews end up being duds, too. So, who knows. We will get a chance to see for ourselves when Netflix debuts the show next February and makes every episode of the first season available at the same time.